Under 4 Weeks of Age: Kittens are considered "newborn kittens" from 0-4 weeks of age. During this time, newborn kittens are just developing motor skills and coordination. They are also learning how to regulate body temperature. At this time in their life, they count on their mother for warmth. If the mother cat is still with the kittens there is very little required for human caretakers besides a warm safe environment, good nutrition and veterinary care for the mother cat. If for some reason, the mother cat is not able to care for the kittens, then a fair amount of care is required to help the kittens grow and thrive. You should plan an immediate visit to see us with the kittens so we can review the kittens needs especially relating to feeding and monitoring their progress. This includes bottle feeding kittens every 2-4 hours, keeping their environment warm and safe and helping the kitten to urinate and defecate. Be sure to keep them warm with blankets, especially if they have been separated from their mother and/or siblings. You can definitely hold the kitten during this time, but please be extra gentle, as their bones are still forming. 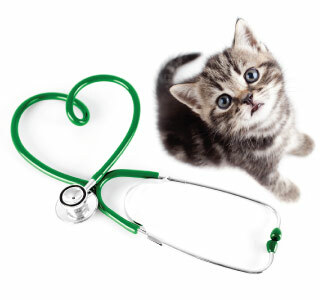 Schedule A Kitten Care Appointment With Metairie Small Animal Hospital Today! At Metairie Small Animal Hospital kitten care is one of our greatest joys. Our veterinary staff would be delighted to spend some time with you and your kitten ensuring that your relationship will be a healthy, happy and rewarding one for many years to come. Schedule your first kitten care appointment today!